For women to assert their worth, it's important to make conscious strides to overcome the need to apologize. Are you ready to adopt a "sorry, not sorry" attitude? Why is this scene so funny? Because despite being a parody of how even the most accomplished woman is still trapped in a state of feeling perpetually apologetic for pretty much everything, it’s painfully close to reality. Why are women so sorry? Women have a habit of apologizing for the most trivial of things. Pointing this out to them may just prompt another apology. Feldt noticed that this social programming is particularly problematic in the business world. For women to achieve those ambitions, it’s important to make conscious strides to overcome the need to apologize. Are you ready to adopt a “sorry, not sorry” attitude? You wouldn’t answer the phone or greet someone in the street by apologizing to them. So why do so many women say “sorry” when they really mean to say, “excuse me”? This is especially common in work environments. Think about it: How many times do you apologize during your daily interactions with your coworkers? Even Feldt has to remain mindful of not apologizing simply for being noticed or taking up attention. Remember: there’s no need to apologize for getting someone’s attention. You have a right to initiate a conversation! It sounds too bizarre to be true, but it happens. Just the other day, I apologized to a group of ducks for slipping on ice in front of them and startling them. I don’t think they appreciated my sentiment. But seriously, if apologizing to someone else when they bump into you isn’t vocalizing a subconscious fear of taking up too much space, then what is? Crying in front of someone else is an incredibly vulnerable act. 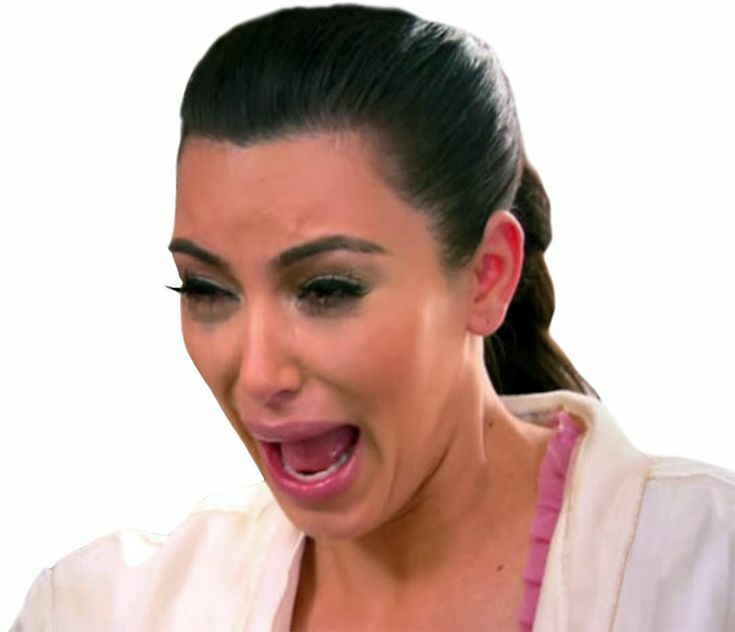 And if you’re prone to Kim Kardashian cry face, then you might find yourself apologizing for subjecting the other person to a potentially uncomfortable, raw display of emotion. But as awkward as it might feel, there’s no need to apologize for anything. Women are often stereotyped as being emotional and thus irrational. Not only is this belief massively untrue, but it further emphasizes the outdated belief that emotion is a sign of femininity and weakness. Every human is entitled to express themselves, regardless of gender. Continuing to attach shame to displays of emotion just perpetuates those same toxic attitudes. Let people feel their feelings! Thanks to that fight-or-flight instinct, you never know how you’re going to react when you’re harassed. It’s horrible to freeze up. It’s even more infuriating to hear yourself suddenly apologize. Why would a woman apologize for being harassed? This is a symptom of a culture that tells women to take responsibility for everything—even the actions of others. She says her habit of constantly saying sorry is a result of guilt issues that are “magnified by a culture that blames women and girls for everything bad that happens to them,” otherwise known as victim blaming. When women react to harassment by apologizing to their attacker, they’re vocalizing that the blame lies not with their attacker, but with them. Did you ever have a teacher tell you that “there are no stupid questions?” That’s just as true now as it was when you were still in school. Not everyone learns in the same way. Maybe you need to perform a task first to really understand how it works, or maybe you need to see something written down to remember it. Remember that apologizing for lacking knowledge you were never taught is like apologizing for not seeing the landmark in a city you’ve never traveled to. It’s not your fault, and there’s no need to be sorry about it. Setting boundaries is an area where being firm takes priority over being polite. While people should always be respectful of what you are and aren’t okay with, it’s totally not your responsibility to make sure they respect you. If they do cross the line, don’t ever think you owe them an apologetic explanation. There’s really no need to use the word “sorry” when you tell your mother-in-law that you weren’t cool with her filling your baby’s bottle with soda instead of formula. Do you apologize when you won’t give someone your number or go on a date with them? As much as you might be afraid to hurt someone’s feelings, you aren’t under obligation to date or spend time with anyone you don’t want to. Of course, you can still let someone down politely. A simple, “no, but thanks” is always better than, “no, I’m sorry.” If they can’t handle rejection, then that’s on them. We all know the guilt of “flaking” on a friend’s social engagement. But you don’t have to be an introvert to know that it’s a bit draining to attend every single event on your calendar. Just think about it: would you really be the best company if you spent the entire time waiting for an appropriate time to leave? It’s okay to say no and stay in for the night. You don’t owe everyone your presence at their art show or gig. Well, maybe you shouldn’t bail on your mother’s birthday, but you get the gist. Do you love pumpkin spice lattes? Is fall your favorite season? Do you think pugs are just the cutest? These might seem like pretty generic interests, but there’s a reason they’re so popular. Pumpkin spice is delicious. Fall is beautiful. Pugs are amazing. So why are people who admit to liking these things shamed for being so, well, basic? Apologies can often reflect embarrassment or shame. But don’t let the haters dictate your interests. Hold that pumpkin spice latte high with pride! For a long time, women have been viewed as caregivers whose main task is to keep things running smoothly. Of course, gender roles are (thankfully) a lot more diverse nowadays, and women are less likely to be limited by this outdated cliché. Sadly, they kind of still are—which means women are still feeling like they’re responsible for smoothing over anything that goes wrong. Madeleine Burry documented her own week-long experiment to stop saying sorry. Not only did it help her become more aware of her apology habit, but it helped her realize that she often feels responsible for situations that really shouldn’t be her problem. The next time you feel the need to apologize when something’s gone wrong, ask yourself: Am I responsible for what went wrong in the first place? Are you feeling ready to take a break from “sorry”? Great! But…what’s the alternative? What can be done to address this habit? It’s hard to say if men should start apologizing more to balance the scale, but it’s definitely a good idea for women to reassess just how much they say “sorry” every day. So what about completely eliminating “sorry” from your vocabulary altogether? Burry thinks this method is a tad over the top. Weedston agrees that there’s definitely a time and a place for a genuine apology. If you want to revolutionize the way you communicate and move away from your “sorry” addiction, think about how you can replace the word with something more appropriate. Artist Yao Xiao has a suggestion: instead of “sorry,” say “thank you.” Like, “thank you for being patient” instead of, “sorry I’m always late.” By doing this, you remove yourself from this subconscious guilt complex and shift the focus to how appreciative you are of the other person’s efforts. Not to mention you’re kind of complementing them at the same time.